ISE 2016 - The first ever four-day ISE will allow you to make the most of your time at the world’s biggest AV, system integration and communication exhibition. 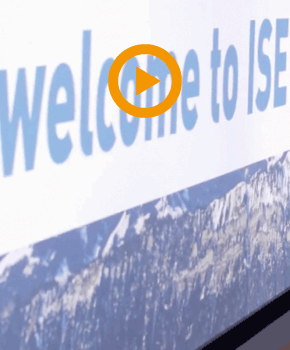 We have managed to wrap up the essence of ISE into a neat little video. The exhibitors, visitors and cutting edge innovations are what help to give ISE its very special atmosphere, in which lots of important business decisions are made. Since it was launched in 2004, the show has grown in size and stature to become the key date on the tradeshow calendar for many people and companies. Look back at the brilliant array of technology that was on display at ISE 2015 and look forward to the next installment of Europes biggest AV tradeshow. Take a look and see why you cannot miss ISE 2016. Ak Vás tento článok zaujal, podeľte sa oň. Máte záujem o LED reklamu?